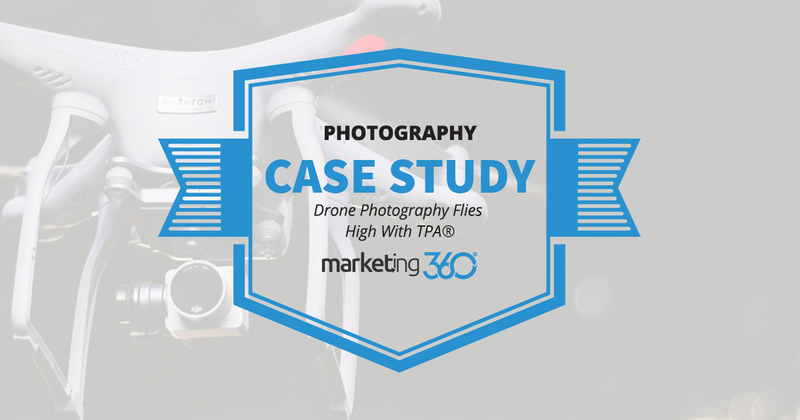 This drone aerial photography business uses Top Placement Ads® (TPA) to win conversions in a competitive market. Working in photography and video media in Southern California isn’t easy. In fact – as you can easily imagine – it’s one of the most competitive markets for these services. So how do you establish yourself as a photographer and videographer in the filmmaking center of the world? This Marketing 360® client is getting a foothold in this very market. Here’s how he does it. Just saying “Hey, I have a nice camera, I can take pictures!” is about as compelling as a chef claiming her pièce de résistance is a hot dog. In a competitive market, you need a niche. So this client did a smart thing. He decided to focus exclusively on aerial photography using drones. Now, it’s not as if there is no competition with this offer. But this narrowed focus and gave him a specialization. As we’ll see, this opened the way to opportunities to work on the types of projects LA filmmakers dream of. For a business to gain traction in any market, it’s usually pay to play. You have to advertise to make people aware of your brand. So this business made a second excellent decision. They hired Marketing 360® to manage their paid online search. We set up campaigns using “drone photography” as a phrase match keyword. 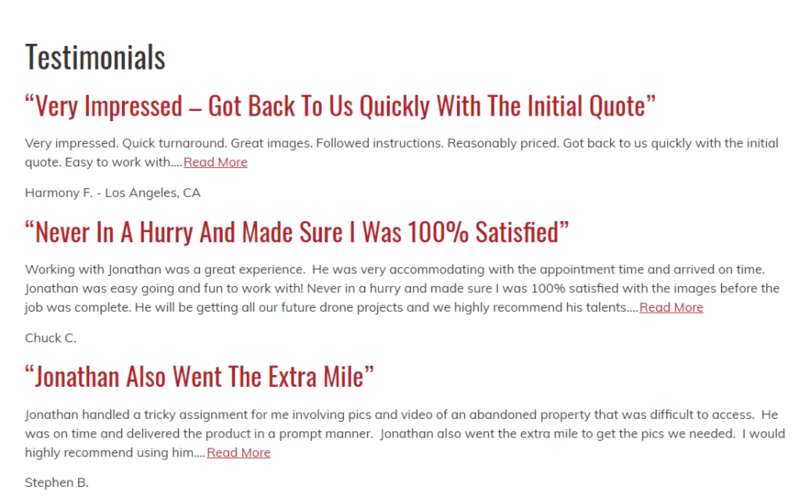 It also allowed him to get exposure on two money-making areas by using broad match modifier with “real estate photography” and “wedding videographer”. This gives the business a foothold to win profitable gigs and build out a brand name. This is almost better than visiting the property. Now, if Quentin Tarantino needs a drone video, he’ll be impressed by Snoop and Kobe. But everyone else, looking to capture moments of their lives from vantage points no human eyes can go, will be most convinced by these testimonials. This is how a brand gets built in the land of brands and big names. Do the same in your corner of the world, and you’ll corner your market.